There is no fun to be had when equipment malfunctions or breaks down, especially when you’re trying to spend some quality time on your favorite body of water. It’s even worse when you’re miles from anywhere and there’s no immediate help available. Unfortunately it happens but a lot of the problems can be avoided with a little preparation and upkeep. One of the more common issues includes power or the lack there of. Without it there’s no way to start today’s bigger engines and a jump from a charged battery may be the only way to get going. You might be able to jump from a trolling motor battery if you have cables along. Or maybe pull a battery and replace the dead one but you better have a few tools along and in the end it might not fit in the battery compartment and the connecting cables might not reach if the battery isn’t in its proper place. In that case you’re dead in the water hoping and praying for some help. Ranger Boats has addressed the jumping issue by wiring the starting and trolling motor batteries into a main switch that you can simply turn to a jumper position to get fired up and back in business. It’s super convenient and can save your bacon if you’re not totally prepared for a little adversity and sooner or later you’ll probably run into some kind of trouble. 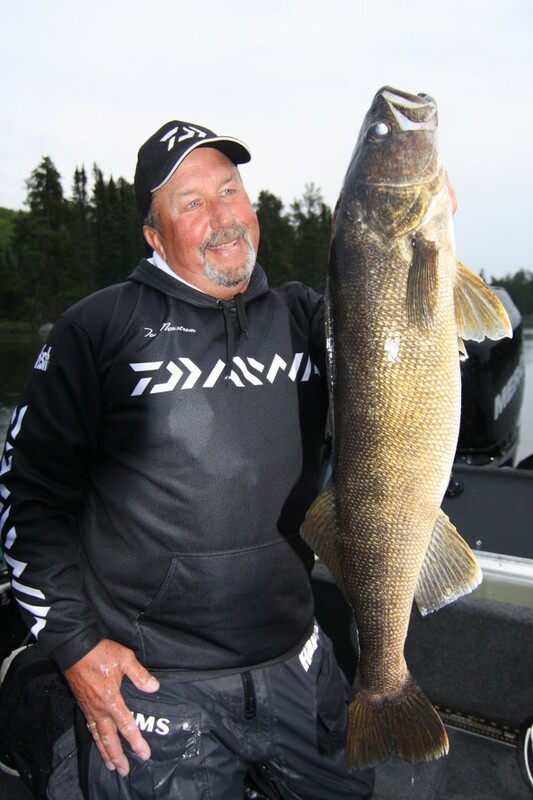 Professional fisherman and full time guide Tom Neustrom of Deer River, Minnesota has been there and it wasn’t just him he had to worry about. Tom on adversity: “Some years ago I had a built-in charger installed (can’t remember the brand) and it worked great for a couple of weeks but then it started undercharging and the batteries ended up going dead on a guide trip that I was taking and had to be towed in for several miles with a boat full of clients, which was downright embarrassing. I felt terrible for my guys who lost valuable fishing time even though they understood and where really good about it. These days I’m using a built-in Minn Kota Precision four bank charger along with two starting batteries hooked in series and there have been zero problems. There are different batteries available for today’s anglers as well including AGM, gel, or flooded acid and you can set the Precision Charger for the correct type and insure proper charging and extending battery life. Another thing I do to help avoid problems is look for crystallization at the top of the battery and will pull the cables and clean and coat them with a lubricant like WD-40 before tightening them back down. Without a good connection you can’t draw enough juice to run your electronics or even charge the batteries properly.” And there are a lot of electronics these days with big powerful electric trolling motors, giant graphs with GPS, and even the new anchoring systems like the Talon that Tom has rigged on his twenty-one foot Lund, not to mention running live-wells all day which can definitely pull down the starting battery and one of the reasons Tom runs two connected in series. One of the big advantages of having an on marine battery charger is the fact that you can mount it in a compartment where it’s out of the way. You can’t leave a clip on style out in the rain or you’ll ruin it and is probably dangerous at best. The new Precision On-Board Chargers from Minn Kot are waterproof, smaller in size, and digitally controlled with a microprocessor that adjusts for temperature, uses multi-state charging to control the voltage and current throughout the charging cycle, and won’t overcharge a battery which can shorten its life or completely ruin it. Just plug it in and don’t worry about it. If you’re still worried; there is an LED display you can check up on that allows you to monitor the connection, the power status, and state of charge. Avoiding breakdowns is equally important whether you’re a guide, tournament fisherman, or someone who is trying to enjoy their limited free time. Fortunately there are steps you can take to help make your next outing smooth and trouble-free. See you on the water.